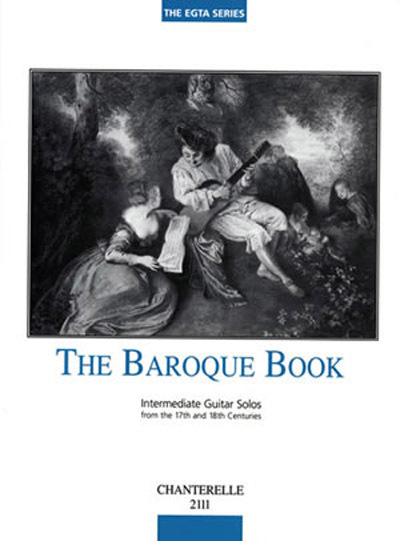 Baroque Book Intermediate Guitar Solos 17th-18th Century. For Guitar (Classical). Solos. Chanterelle. Classic. Beginning-Intermediate. Book. 36 pages. Published by Chanterelle< p> In this series of books, the EGTA consolidates and develops a methodic and imaginative process of guitar teaching. The pieces are more of less progressive in difficulty throughout and are grouped into 3 distinct technical categories. No. 1-12 contain no left-handed slurs or barres of any kind, and only #12 goes higher than the fifth position. Numbers 13-24 include half barres, appoggiaturas and other examples of the left-handed slur. Number 25 features full barres, mordents, and trills.